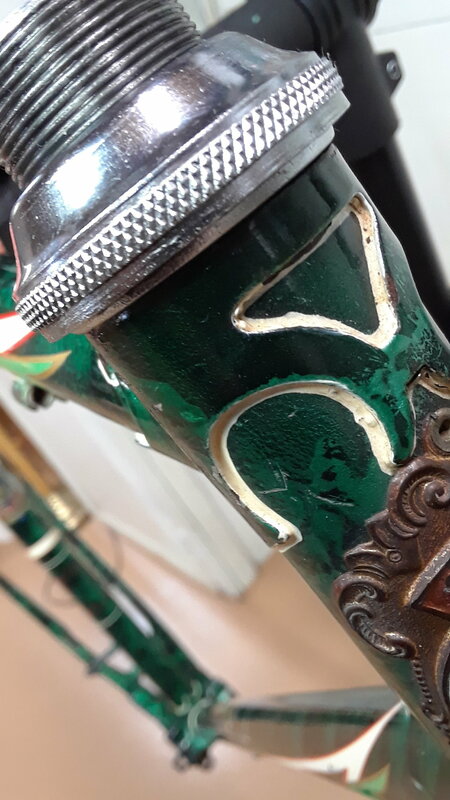 Have cleaned up the steel stem from the Royal Nord and it cleaned up very well. It looks like "Cinton" but could find no reference to it online. Everything comes up "Clinton" May or may not use the original bars. 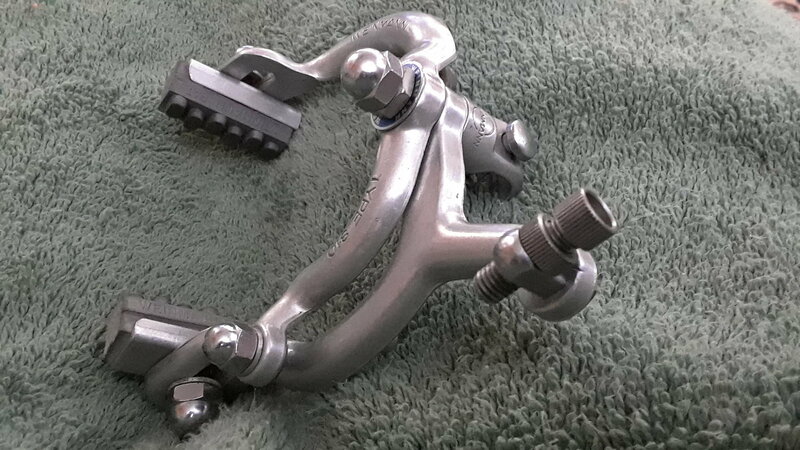 The grip space is very short as were the original grips. The staining/ etching on the front wheel in particular is proving troublesome but wet sanding is helping. The frame and fork are reunited with new headset bearings. I replaced the the retainer style with loose for more bearing surface. 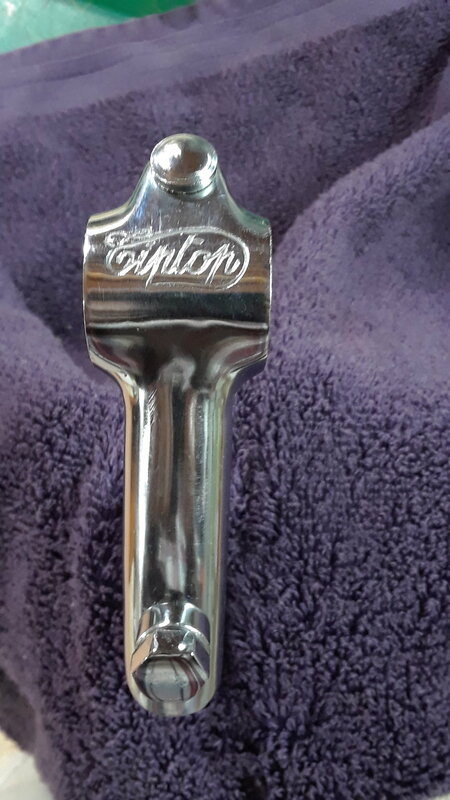 ... the steel stem ...l. It looks like "Cinton" but could find no reference to it online. It will be as difficult to find it online with the real "TIP TOP" name. Thanks for the information @Munny. I did find out a little more, and agree that Titan was likely involved. Slowly, things are starting to come together with this beautiful old bike. I'm still not sure whether it is 50s or 60s. Perhaps someone can date the Weinmann Type 810 brakes. The brakes doesn't appear to me as a good dating criteria. I'd be you, I'd search for a date code on the rear hub. I just had a look at one and found "N° 140B-5"
Don’t know the brand but it seems to be “inverse”. On the upper part the cup is in the headtube and the cone is threaded. I have two of those, both french threaded without info. Having some thoughts that these types of Weinmann could be older than that, I just had a look in a belgian cycling magazine and opened one dating of 1947. 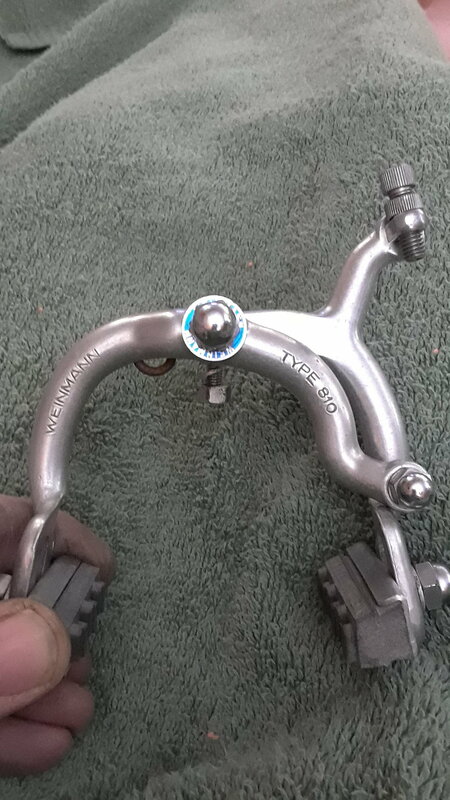 Not only is the Weinmann brake advertised but your headset (normal) is an Edco. What a beautiful bike and great restoration you are doing. 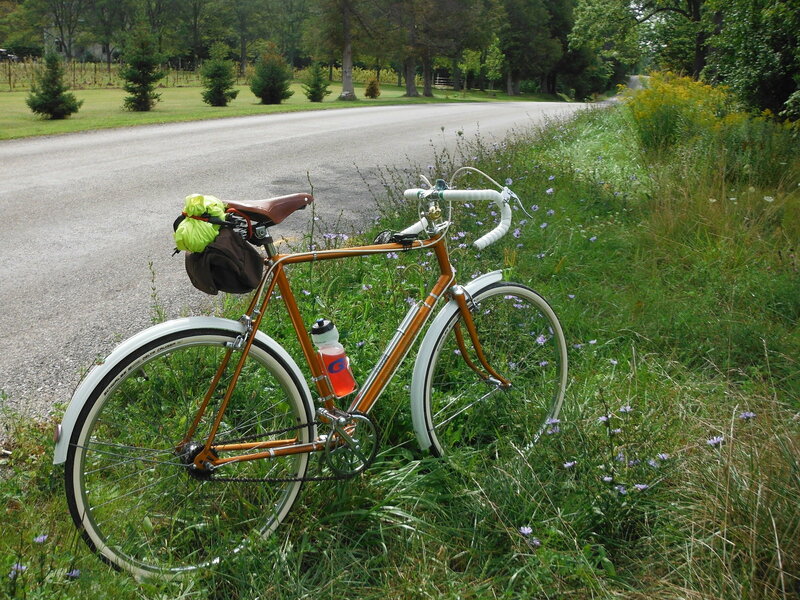 We forget the three-speed, but in its time it was THE step up bike from my single speed coaster brake Western Flyer. Wow and hand brakes too, you were almost a racer. Wish I'd kept some of them I rode as a child. 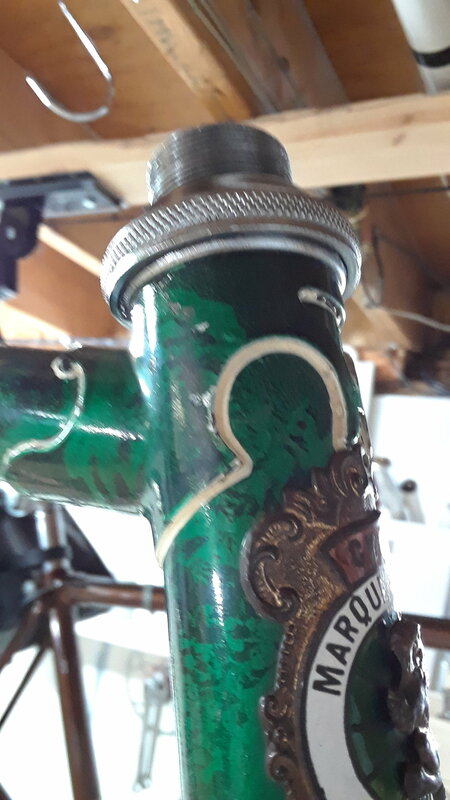 What I would refer to as the cone is in the headtube and the rotating adjusting "nut" is the cup. 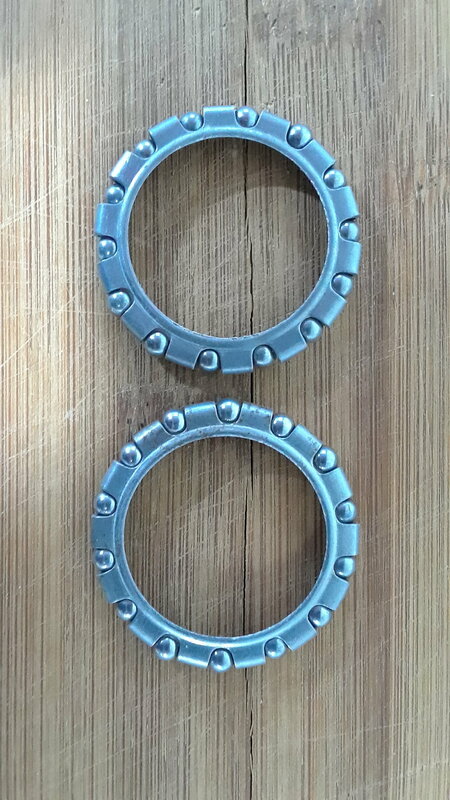 If the bearings had not been on retainers, they would automatically spill out! 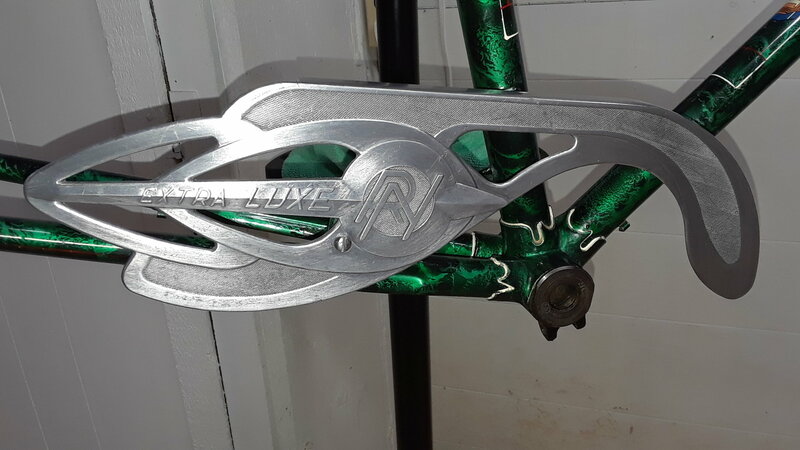 This does make it odd as it is in the same orientation as the fork crown and headtube instead of the common "bookend" arrangement. Must remember to be careful if I take it apart as I used loose bearings(24) on the rebuild. I would like to take this chance to thank everyone who has added information and assisted in the research. Much appreciated! Last edited by browngw; 03-09-19 at 11:15 AM. I have been searching for a date on the hub. 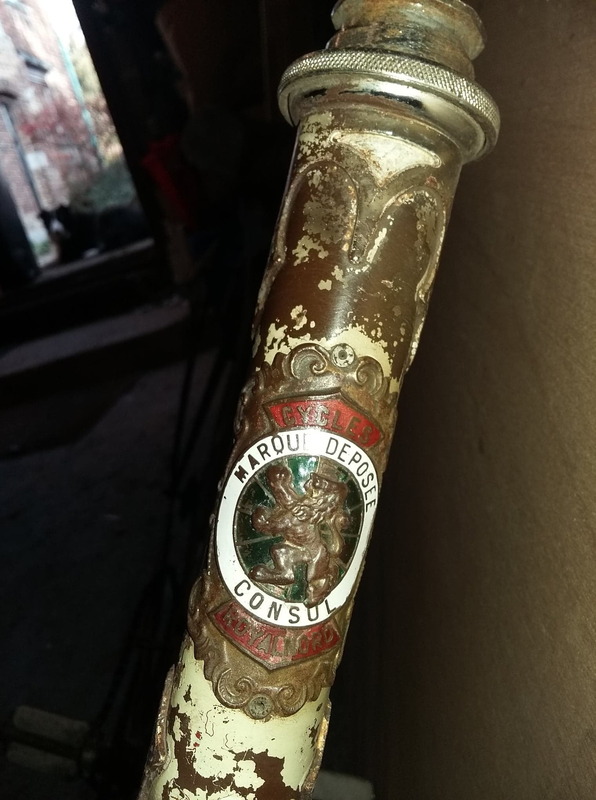 I have three bicycles with Sturmey Archer hubs and they are all date stamped. Like you, I found No. 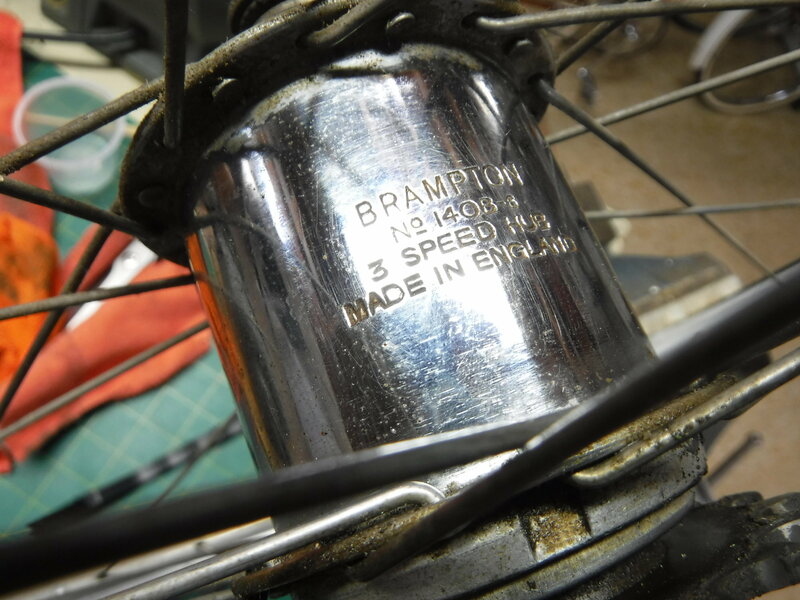 140B-6 but with no info on Brampton production, very difficult. The last # is slightly smaller and might be the year of production (56 or 66) although I'm still guessing the latter. RN production stopped in 1967 according to internet information. Wheels and hubs are next up. Three speeds are becoming a larger part of my fleet. This is my fourth and some are ridden a lot. Once set up with the right CR and cogs for the terrain and your riding style they can be very efficient and fun riders. 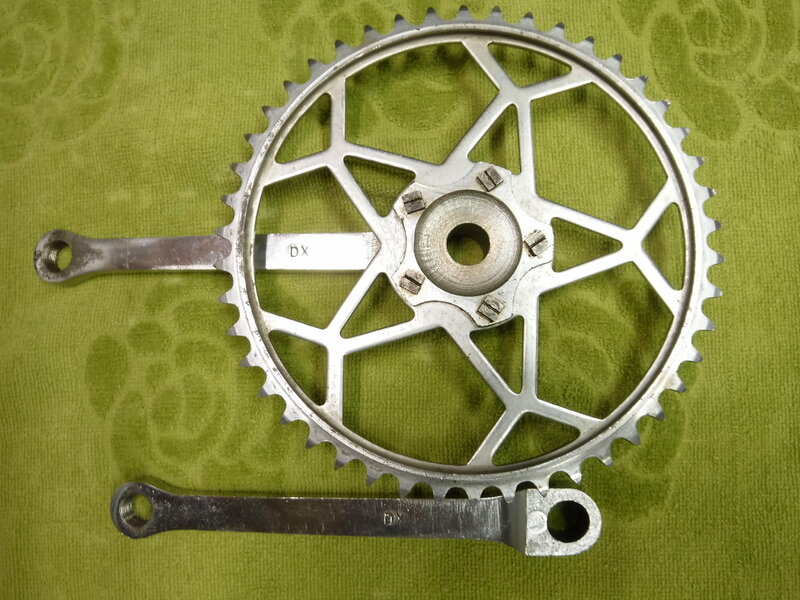 I have a 1958 Sun Cresta 5 speed I seldom ride (48TCR and 14-22 freewheel ) , yet my 1971 Robin Hood with a 46TCR and 21Tcog Sturmey Archer AW gets ridden a lot. On a solo ride last fall, a passing group asked if I wanted to join them. I politely declined as there are limitations to a 3 speed! I desperately wanted a 3 speed when I was a young fellow but never got one, maybe now is my time. As you can see this one is a "Consul"
And a President must be above a Consul. I don't know much about the Hufkens brother production (Royal Nord - a brand I forgot - Alfonse Thomann) and I had to refuse it. This is just helping you to undersand how these bikes were called. A very handsome and distinctive bike. Though it looks much older than 1967. Guessing middle 1950s?? That makes three I have heard of! My "President" a "Commander" and now a "Consul". 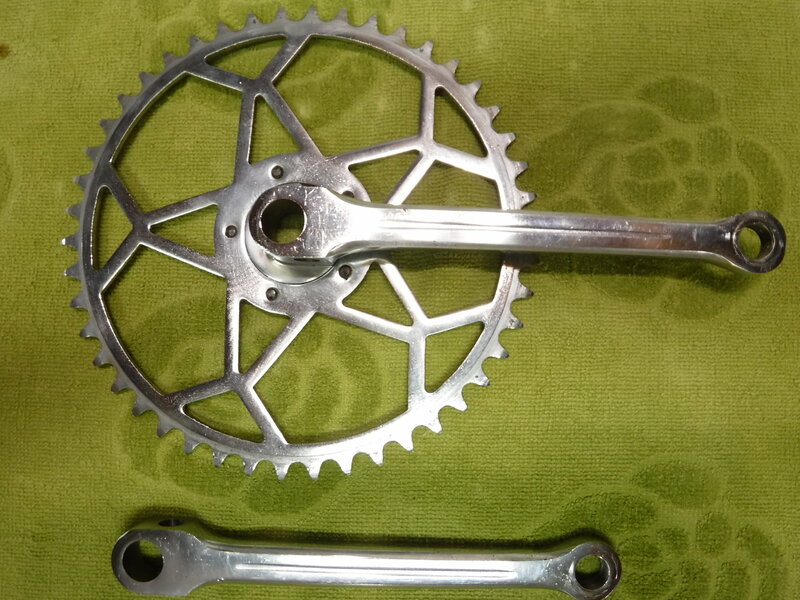 The crank set has been cleaned and inspected and all seems good. 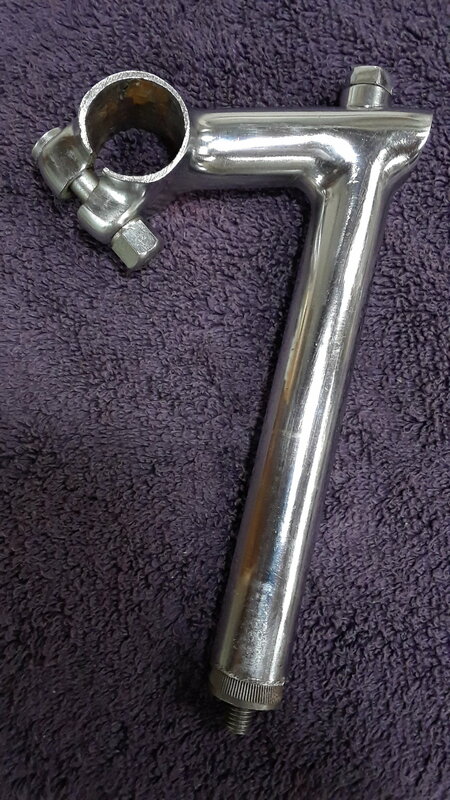 I must admit the quality of chrome is not as good as similarly aged British bikes but the quality of the stampings and machining is much better. The five pins in the CR are movable but centre punched so I did not remove them. A heavily imprinted DX was the only marking I could find. Long time reader, new to posting. I have a President as well. It is pre 1950 and has the same paint scheme in blue. Mine is as new with less than one mile on it. The chain has the orig oil on it. Out of the house 3 times since 1980. Will post photos when allowed can email them till then. Wow! Can't wait to see the pictures and any other information you may have. I wonder how many Royal Nords' there are in North America and how did they get here? Feel free to email me at browngw80@gmail.com anytime. Lovin’ this bike and this thread! 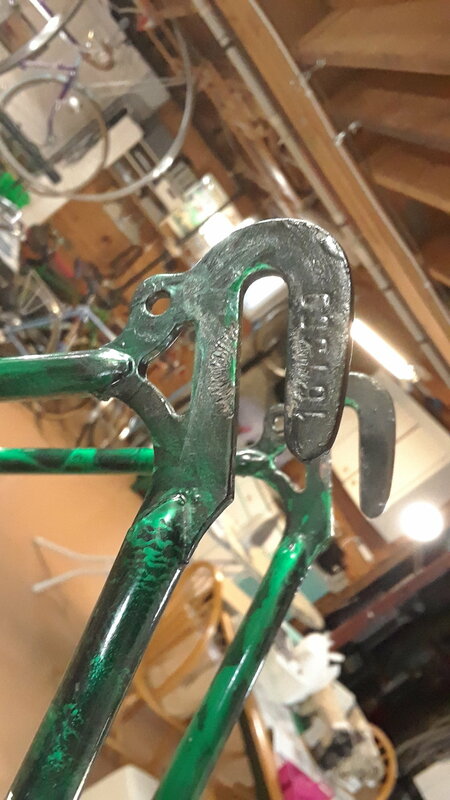 Spent some time today cleaning and touch-up painting on the frame. Not sure how I missed it before, but was delighted to find the serial number on the rear dropout. "161369". Without knowing a convention, it doesn't help date it but it at least has an identity. The frame weighs 2.86kg (6.3lbs) without the fork. Paint and decals are excellent for the age. Some of the alloy parts have faired less well due to corrosion but I have the front wheel in presentable condition now. I can be wrong but there is something special in the naming of your bike that can also point to early fifties. As you may know, Belgium is a kingdom. Kingdoms have no "president" but a king. This regime was choosen at the time the country was put together because all the neighbours were also kingdoms, including France. 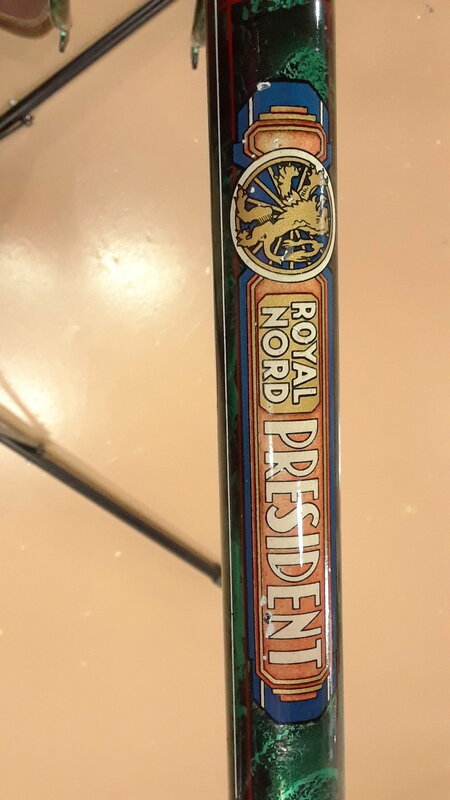 This is reflected in the brand name "Royal Nord". So why a President when the brand name includes Royal ? Early fifties is a special moment over here. There were questions to change the political regime. The actual king was impeached and his son only became king after a delay. The population was strongly devided on the kingdom question and we were short of becoming a republic. 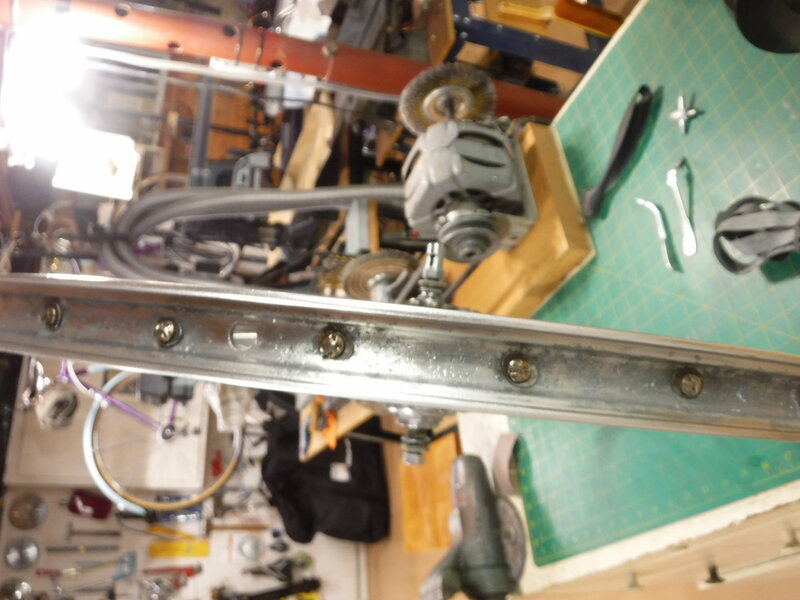 Cleanup of the beautiful chain guard. The heart of any bicycle, its wheels. 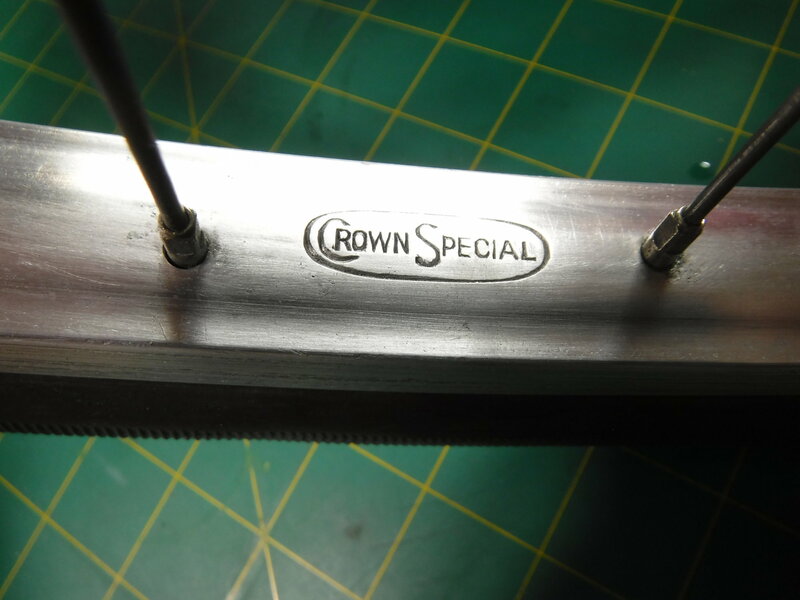 After days of spoke cleaning, wet sanding, wire brushing, 3M pad polishing the 28" Crown Special alloy rims were looking pretty presentable. Both wheels were wearing Dunlop Imperial tires and appeared to have their original metal stem tubes. The rear did not hold air and I found a sliver of steel in the tire. 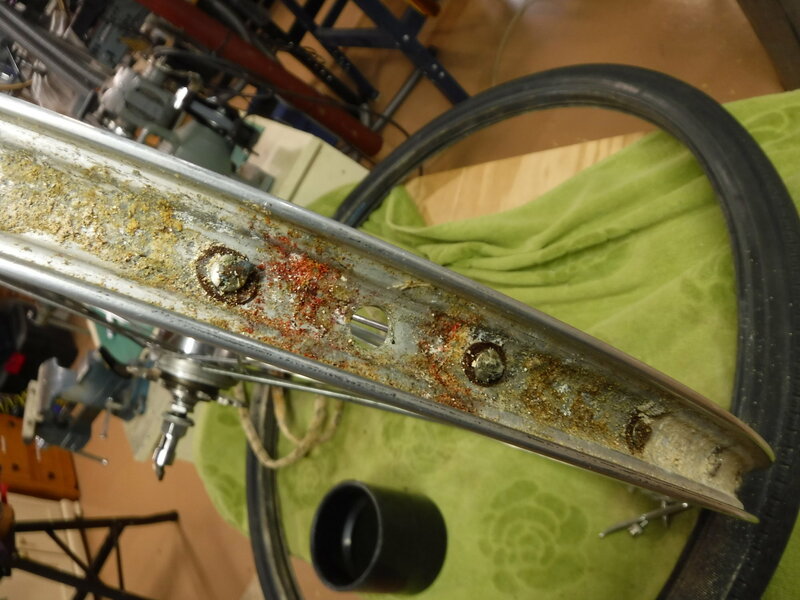 Removing the tires revealed a mess of corrosion hidden underneath. 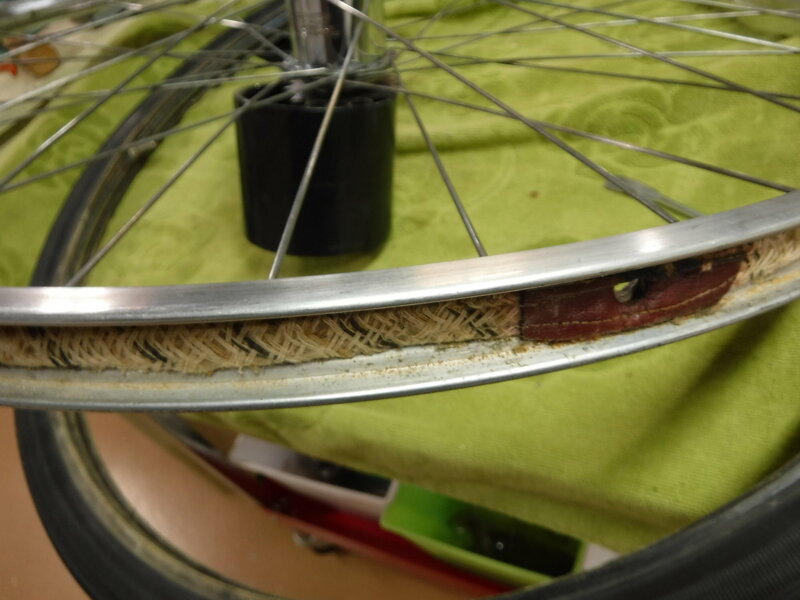 Likely original Dunlop Airseal tubes and a rim strip of some sort of fabric that had become moist and caused a lot of corrosion on the inside of the rim. The bike spent some years in Florida near the beach which may not of helped. Plenty of wire brushing and new rubber rim tape (27"x 18mm) has it ready for some new tires when I can find some available in Canada. Forgot to ask, one member here had a Norman. He decided to build a daily set of wheels for it and use the original for special rides. Is this your thinking or just stick with one wheelset?